1710600 1160 CASE IH 1160 Combine. Spare Parts Catalog. Service (repair / workshop) Manual. Operation and Maintenance Instruction. 1710601 1160 CASE IH 1160 Combine. Spare Parts Catalog. Service (repair / workshop) Manual. Operation and Maintenance Instruction. 1710602 1400 CASE IH 1400 Combine. Spare Parts Catalog. Service (repair / workshop) Manual. Operation and Maintenance Instruction. 1710603 1620 CASE IH 1620 Combine. Spare Parts Catalog. Service (repair / workshop) Manual. Operation and Maintenance Instruction. 1710604 1620 CASE IH 1620 Combine. Spare Parts Catalog. Service (repair / workshop) Manual. Operation and Maintenance Instruction. 1710605 1620 CASE IH 1620 Combine. Spare Parts Catalog. Service (repair / workshop) Manual. Operation and Maintenance Instruction. 1710606 1620 CASE IH 1620 Combine. Spare Parts Catalog. Service (repair / workshop) Manual. Operation and Maintenance Instruction. 1710607 1665 CASE IH 1665 Combine. Spare Parts Catalog. Service (repair / workshop) Manual. Operation and Maintenance Instruction. 1710608 1665 CASE IH 1665 Combine. Spare Parts Catalog. Service (repair / workshop) Manual. Operation and Maintenance Instruction. 1710609 2500 CASE IH 2500 Combine. Spare Parts Catalog. Service (repair / workshop) Manual. Operation and Maintenance Instruction. 1710610 4077 CASE IH 4077 Combine. Spare Parts Catalog. Service (repair / workshop) Manual. Operation and Maintenance Instruction. 1710611 4077 CASE IH 4077 Combine. Spare Parts Catalog. Service (repair / workshop) Manual. Operation and Maintenance Instruction. 1710612 CT610 CASE IH CT610 Combine. Spare Parts Catalog. Service (repair / workshop) Manual. Operation and Maintenance Instruction. 1710613 CT5050 CASE IH CT5050 Combine. Spare Parts Catalog. Service (repair / workshop) Manual. Operation and Maintenance Instruction. 1710614 CT5050 CASE IH CT5050 Combine. Spare Parts Catalog. Service (repair / workshop) Manual. Operation and Maintenance Instruction. 1710615 CT5050 CASE IH CT5050 Combine. Spare Parts Catalog. Service (repair / workshop) Manual. Operation and Maintenance Instruction. 1710616 CT5060 CASE IH CT5060 Combine. Spare Parts Catalog. Service (repair / workshop) Manual. Operation and Maintenance Instruction. 1710617 CT5060 CASE IH CT5060 Combine. Spare Parts Catalog. Service (repair / workshop) Manual. Operation and Maintenance Instruction. 1710618 CT5060 CASE IH CT5060 Combine. Spare Parts Catalog. Service (repair / workshop) Manual. Operation and Maintenance Instruction. 1710619 CT5070 CASE IH CT5070 Combine. Spare Parts Catalog. Service (repair / workshop) Manual. Operation and Maintenance Instruction. 1710620 CT5070 CASE IH CT5070 Combine. Spare Parts Catalog. Service (repair / workshop) Manual. Operation and Maintenance Instruction. 1710621 CT5070 CASE IH CT5070 Combine. Spare Parts Catalog. Service (repair / workshop) Manual. Operation and Maintenance Instruction. 1710622 CT5080 CASE IH CT5080 Combine. Spare Parts Catalog. Service (repair / workshop) Manual. Operation and Maintenance Instruction. 1710623 CT5080 CASE IH CT5080 Combine. Spare Parts Catalog. Service (repair / workshop) Manual. Operation and Maintenance Instruction. 1710624 CT5080 CASE IH CT5080 Combine. Spare Parts Catalog. Service (repair / workshop) Manual. Operation and Maintenance Instruction. 1710626 CF60 CASE IH CF60 Combine. Spare Parts Catalog. Service (repair / workshop) Manual. Operation and Maintenance Instruction. 1710627 CF60 CASE IH CF60 Combine. Spare Parts Catalog. Service (repair / workshop) Manual. Operation and Maintenance Instruction. 1710628 CF60K CASE IH CF60K Combine. Spare Parts Catalog. Service (repair / workshop) Manual. Operation and Maintenance Instruction. 1710629 CF70 CASE IH CF70 Combine. Spare Parts Catalog. Service (repair / workshop) Manual. Operation and Maintenance Instruction. 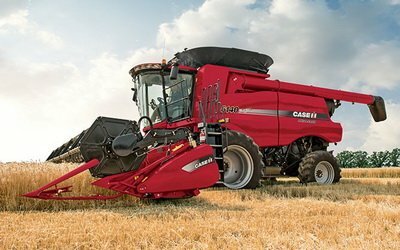 1710630 CF70 CASE IH CF70 Combine. Spare Parts Catalog. Service (repair / workshop) Manual. Operation and Maintenance Instruction. 1710631 CF80 CASE IH CF80 Combine. Spare Parts Catalog. Service (repair / workshop) Manual. Operation and Maintenance Instruction. 1710632 CF80 CASE IH CF80 Combine. Spare Parts Catalog. Service (repair / workshop) Manual. Operation and Maintenance Instruction. 1710633 CF80K CASE IH CF80K Combine. Spare Parts Catalog. Service (repair / workshop) Manual. Operation and Maintenance Instruction. 1710635 1620 CASE IH 1620 Combine. Spare Parts Catalog. Service (repair / workshop) Manual. Operation and Maintenance Instruction. 1710636 1620E CASE IH 1620E Combine. Spare Parts Catalog. Service (repair / workshop) Manual. Operation and Maintenance Instruction. 1710637 1640E CASE IH 1640E Combine. Spare Parts Catalog. Service (repair / workshop) Manual. Operation and Maintenance Instruction. 1710638 1640E CASE IH 1640E Combine. Spare Parts Catalog. Service (repair / workshop) Manual. Operation and Maintenance Instruction. 1710639 1640 CASE IH 1640 Combine. Spare Parts Catalog. Service (repair / workshop) Manual. Operation and Maintenance Instruction. 1710640 1640 CASE IH 1640 Combine. Spare Parts Catalog. Service (repair / workshop) Manual. Operation and Maintenance Instruction. 1710641 1640 CASE IH 1640 Combine. Spare Parts Catalog. Service (repair / workshop) Manual. Operation and Maintenance Instruction. 1710642 1640 CASE IH 1640 Combine. Spare Parts Catalog. Service (repair / workshop) Manual. Operation and Maintenance Instruction. 1710643 1640 CASE IH 1640 Combine. Spare Parts Catalog. Service (repair / workshop) Manual. Operation and Maintenance Instruction. 1710644 1644 CASE IH 1644 Combine. Spare Parts Catalog. Service (repair / workshop) Manual. Operation and Maintenance Instruction. 1710645 1644 CASE IH 1644 Combine. Spare Parts Catalog. Service (repair / workshop) Manual. Operation and Maintenance Instruction. 1710646 1660 CASE IH 1660 Combine. Spare Parts Catalog. Service (repair / workshop) Manual. Operation and Maintenance Instruction. 1710647 1660 CASE IH 1660 Combine. Spare Parts Catalog. Service (repair / workshop) Manual. Operation and Maintenance Instruction. 1710648 1660 CASE IH 1660 Combine. Spare Parts Catalog. Service (repair / workshop) Manual. Operation and Maintenance Instruction. 1710649 1660 CASE IH 1660 Combine. Spare Parts Catalog. Service (repair / workshop) Manual. Operation and Maintenance Instruction. 1710650 1660 CASE IH 1660 Combine. Spare Parts Catalog. Service (repair / workshop) Manual. Operation and Maintenance Instruction. 1710651 1680 CASE IH 1680 Combine. Spare Parts Catalog. Service (repair / workshop) Manual. Operation and Maintenance Instruction. 1710652 1680 CASE IH 1680 Combine. Spare Parts Catalog. Service (repair / workshop) Manual. Operation and Maintenance Instruction. 1710653 1680 CASE IH 1680 Combine. Spare Parts Catalog. Service (repair / workshop) Manual. Operation and Maintenance Instruction. 1710654 1680 CASE IH 1680 Combine. Spare Parts Catalog. Service (repair / workshop) Manual. Operation and Maintenance Instruction. 1710655 1680 CASE IH 1680 Combine. Spare Parts Catalog. Service (repair / workshop) Manual. Operation and Maintenance Instruction. 1710656 1660E CASE IH 1660E Combine. Spare Parts Catalog. Service (repair / workshop) Manual. Operation and Maintenance Instruction. 1710657 1660E CASE IH 1660E Combine. Spare Parts Catalog. Service (repair / workshop) Manual. Operation and Maintenance Instruction. 1710658 1666 CASE IH 1666 Combine. Spare Parts Catalog. Service (repair / workshop) Manual. Operation and Maintenance Instruction. 1710659 1666 CASE IH 1666 Combine. Spare Parts Catalog. Service (repair / workshop) Manual. Operation and Maintenance Instruction. 1710660 1680 CASE IH 1680 Combine. Spare Parts Catalog. Service (repair / workshop) Manual. Operation and Maintenance Instruction. 1710661 1680 CASE IH 1680 Combine. Spare Parts Catalog. Service (repair / workshop) Manual. Operation and Maintenance Instruction. 1710662 1680E CASE IH 1680E Combine. Spare Parts Catalog. Service (repair / workshop) Manual. Operation and Maintenance Instruction. 1710663 1680E CASE IH 1680E Combine. Spare Parts Catalog. Service (repair / workshop) Manual. Operation and Maintenance Instruction. 1710664 1682 CASE IH 1682 Combine. Spare Parts Catalog. Service (repair / workshop) Manual. Operation and Maintenance Instruction. 1710665 1682 CASE IH 1682 Combine. Spare Parts Catalog. Service (repair / workshop) Manual. Operation and Maintenance Instruction. 1710666 1688 CASE IH 1688 Combine. Spare Parts Catalog. Service (repair / workshop) Manual. Operation and Maintenance Instruction. 1710667 1688 CASE IH 1688 Combine. Spare Parts Catalog. Service (repair / workshop) Manual. Operation and Maintenance Instruction. 1710668 2388E CASE IH 2388E Combine. Spare Parts Catalog. Service (repair / workshop) Manual. Operation and Maintenance Instruction. 1710669 2144 CASE IH 2144 Combine. Spare Parts Catalog. Service (repair / workshop) Manual. Operation and Maintenance Instruction. 1710670 2144 CASE IH 2144 Combine. Spare Parts Catalog. Service (repair / workshop) Manual. Operation and Maintenance Instruction. 1710671 2144 CASE IH 2144 Combine. Spare Parts Catalog. Service (repair / workshop) Manual. Operation and Maintenance Instruction. 1710672 2144 CASE IH 2144 Combine. Spare Parts Catalog. Service (repair / workshop) Manual. Operation and Maintenance Instruction. 1710673 2144 CASE IH 2144 Combine. Spare Parts Catalog. Service (repair / workshop) Manual. Operation and Maintenance Instruction. 1710674 2166 CASE IH 2166 Combine. Spare Parts Catalog. Service (repair / workshop) Manual. Operation and Maintenance Instruction. 1710675 2166 CASE IH 2166 Combine. Spare Parts Catalog. Service (repair / workshop) Manual. Operation and Maintenance Instruction. 1710676 2166 CASE IH 2166 Combine. Spare Parts Catalog. Service (repair / workshop) Manual. Operation and Maintenance Instruction. 1710677 2166 CASE IH 2166 Combine. Spare Parts Catalog. Service (repair / workshop) Manual. Operation and Maintenance Instruction. 1710678 2166 CASE IH 2166 Combine. Spare Parts Catalog. Service (repair / workshop) Manual. Operation and Maintenance Instruction. 1710679 2188 CASE IH 2188 Combine. Spare Parts Catalog. Service (repair / workshop) Manual. Operation and Maintenance Instruction. 1710680 2188 CASE IH 2188 Combine. Spare Parts Catalog. Service (repair / workshop) Manual. Operation and Maintenance Instruction. 1710681 2188 CASE IH 2188 Combine. Spare Parts Catalog. Service (repair / workshop) Manual. Operation and Maintenance Instruction. 1710682 2188 CASE IH 2188 Combine. Spare Parts Catalog. Service (repair / workshop) Manual. Operation and Maintenance Instruction. 1710683 2188 CASE IH 2188 Combine. Spare Parts Catalog. Service (repair / workshop) Manual. Operation and Maintenance Instruction. 1710684 2344 CASE IH 2344 Combine. Spare Parts Catalog. Service (repair / workshop) Manual. Operation and Maintenance Instruction. 1710685 2344 CASE IH 2344 Combine. Spare Parts Catalog. Service (repair / workshop) Manual. Operation and Maintenance Instruction. 1710686 2344 CASE IH 2344 Combine. Spare Parts Catalog. Service (repair / workshop) Manual. Operation and Maintenance Instruction. 1710687 2344 CASE IH 2344 Combine. Spare Parts Catalog. Service (repair / workshop) Manual. Operation and Maintenance Instruction. 1710688 2365 CASE IH 2365 Combine. Spare Parts Catalog. Service (repair / workshop) Manual. Operation and Maintenance Instruction. 1710689 2365 CASE IH 2365 Combine. Spare Parts Catalog. Service (repair / workshop) Manual. Operation and Maintenance Instruction. 1710690 2366 CASE IH 2366 Combine. Spare Parts Catalog. Service (repair / workshop) Manual. Operation and Maintenance Instruction. 1710691 2366 CASE IH 2366 Combine. Spare Parts Catalog. Service (repair / workshop) Manual. Operation and Maintenance Instruction. 1710692 2366 CASE IH 2366 Combine. Spare Parts Catalog. Service (repair / workshop) Manual. Operation and Maintenance Instruction. 1710693 2366 CASE IH 2366 Combine. Spare Parts Catalog. Service (repair / workshop) Manual. Operation and Maintenance Instruction. 1710694 2377 CASE IH 2377 Combine. Spare Parts Catalog. Service (repair / workshop) Manual. Operation and Maintenance Instruction. 1710695 2377 CASE IH 2377 Combine. Spare Parts Catalog. Service (repair / workshop) Manual. Operation and Maintenance Instruction. 1710696 2377 CASE IH 2377 Combine. Spare Parts Catalog. Service (repair / workshop) Manual. Operation and Maintenance Instruction. 1710697 2377 CASE IH 2377 Combine. Spare Parts Catalog. Service (repair / workshop) Manual. Operation and Maintenance Instruction. 1710698 2377 CASE IH 2377 Combine. Spare Parts Catalog. Service (repair / workshop) Manual. Operation and Maintenance Instruction. 1710699 2388 CASE IH 2388 Combine. Spare Parts Catalog. Service (repair / workshop) Manual. Operation and Maintenance Instruction. 1710700 2388 CASE IH 2388 Combine. Spare Parts Catalog. Service (repair / workshop) Manual. Operation and Maintenance Instruction. 1710701 2388 CASE IH 2388 Combine. Spare Parts Catalog. Service (repair / workshop) Manual. Operation and Maintenance Instruction. 1710702 2388 CASE IH 2388 Combine. Spare Parts Catalog. Service (repair / workshop) Manual. Operation and Maintenance Instruction. 1710703 2577 CASE IH 2577 Combine. Spare Parts Catalog. Service (repair / workshop) Manual. Operation and Maintenance Instruction. 1710704 2577 CASE IH 2577 Combine. Spare Parts Catalog. Service (repair / workshop) Manual. Operation and Maintenance Instruction. 1710705 2577 CASE IH 2577 Combine. Spare Parts Catalog. Service (repair / workshop) Manual. Operation and Maintenance Instruction. 1710706 2577 CASE IH 2577 Combine. Spare Parts Catalog. Service (repair / workshop) Manual. Operation and Maintenance Instruction. 1710707 2577 CASE IH 2577 Combine. Spare Parts Catalog. Service (repair / workshop) Manual. Operation and Maintenance Instruction. 1710708 2588 CASE IH 2588 Combine. Spare Parts Catalog. Service (repair / workshop) Manual. Operation and Maintenance Instruction. 1710709 2588 CASE IH 2588 Combine. Spare Parts Catalog. Service (repair / workshop) Manual. Operation and Maintenance Instruction. 1710710 2588 CASE IH 2588 Combine. Spare Parts Catalog. Service (repair / workshop) Manual. Operation and Maintenance Instruction. 1710711 2588 CASE IH 2588 Combine. Spare Parts Catalog. Service (repair / workshop) Manual. Operation and Maintenance Instruction. 1710712 2588 CASE IH 2588 Combine. Spare Parts Catalog. Service (repair / workshop) Manual. Operation and Maintenance Instruction. 1710713 5088 CASE IH 5088 Combine. Spare Parts Catalog. Service (repair / workshop) Manual. Operation and Maintenance Instruction. 1710714 5088 CASE IH 5088 Combine. Spare Parts Catalog. Service (repair / workshop) Manual. Operation and Maintenance Instruction. 1710715 5088 CASE IH 5088 Combine. Spare Parts Catalog. Service (repair / workshop) Manual. Operation and Maintenance Instruction. 1710716 5088 CASE IH 5088 Combine. Spare Parts Catalog. Service (repair / workshop) Manual. Operation and Maintenance Instruction. 1710717 5088 CASE IH 5088 Combine. Spare Parts Catalog. Service (repair / workshop) Manual. Operation and Maintenance Instruction. 1710718 5130 CASE IH 5130 Combine. Spare Parts Catalog. Service (repair / workshop) Manual. Operation and Maintenance Instruction. 1710719 5130 CASE IH 5130 Combine. Spare Parts Catalog. Service (repair / workshop) Manual. Operation and Maintenance Instruction. 1710720 5130 CASE IH 5130 Combine. Spare Parts Catalog. Service (repair / workshop) Manual. Operation and Maintenance Instruction. 1710721 6088 CASE IH 6088 Combine. Spare Parts Catalog. Service (repair / workshop) Manual. Operation and Maintenance Instruction. 1710722 6088 CASE IH 6088 Combine. Spare Parts Catalog. Service (repair / workshop) Manual. Operation and Maintenance Instruction. 1710723 6088 CASE IH 6088 Combine. Spare Parts Catalog. Service (repair / workshop) Manual. Operation and Maintenance Instruction. 1710724 6088 CASE IH 6088 Combine. Spare Parts Catalog. Service (repair / workshop) Manual. Operation and Maintenance Instruction. 1710725 6088 CASE IH 6088 Combine. Spare Parts Catalog. Service (repair / workshop) Manual. Operation and Maintenance Instruction. 1710726 7010 CASE IH 7010 Combine. Spare Parts Catalog. Service (repair / workshop) Manual. Operation and Maintenance Instruction. 1710727 7010 CASE IH 7010 Combine. Spare Parts Catalog. Service (repair / workshop) Manual. Operation and Maintenance Instruction. 1710728 7010 CASE IH 7010 Combine. Spare Parts Catalog. Service (repair / workshop) Manual. Operation and Maintenance Instruction. 1710729 7010 CASE IH 7010 Combine. Spare Parts Catalog. Service (repair / workshop) Manual. Operation and Maintenance Instruction. 1710730 7010 CASE IH 7010 Combine. Spare Parts Catalog. Service (repair / workshop) Manual. Operation and Maintenance Instruction. 1710731 7020 CASE IH 7020 Combine. Spare Parts Catalog. Service (repair / workshop) Manual. Operation and Maintenance Instruction. 1710732 7088 CASE IH 7088 Combine. Spare Parts Catalog. Service (repair / workshop) Manual. Operation and Maintenance Instruction. 1710733 7088 CASE IH 7088 Combine. Spare Parts Catalog. Service (repair / workshop) Manual. Operation and Maintenance Instruction. 1710734 7088 CASE IH 7088 Combine. Spare Parts Catalog. Service (repair / workshop) Manual. Operation and Maintenance Instruction. 1710735 7088 CASE IH 7088 Combine. Spare Parts Catalog. Service (repair / workshop) Manual. Operation and Maintenance Instruction. 1710736 7088 CASE IH 7088 Combine. Spare Parts Catalog. Service (repair / workshop) Manual. Operation and Maintenance Instruction. 1710737 7120 CASE IH 7120 Combine. Spare Parts Catalog. Service (repair / workshop) Manual. Operation and Maintenance Instruction. 1710738 7120 CASE IH 7120 Combine. Spare Parts Catalog. Service (repair / workshop) Manual. Operation and Maintenance Instruction. 1710739 7120 CASE IH 7120 Combine. Spare Parts Catalog. Service (repair / workshop) Manual. Operation and Maintenance Instruction. 1710740 8010 CASE IH 8010 Combine. Spare Parts Catalog. Service (repair / workshop) Manual. Operation and Maintenance Instruction. 1710741 8010 CASE IH 8010 Combine. Spare Parts Catalog. Service (repair / workshop) Manual. Operation and Maintenance Instruction. 1710742 8010 CASE IH 8010 Combine. Spare Parts Catalog. Service (repair / workshop) Manual. Operation and Maintenance Instruction. 1710743 8010 CASE IH 8010 Combine. Spare Parts Catalog. Service (repair / workshop) Manual. Operation and Maintenance Instruction. 1710744 8010 CASE IH 8010 Combine. Spare Parts Catalog. Service (repair / workshop) Manual. Operation and Maintenance Instruction. 1710745 8120 CASE IH 8120 Combine. Spare Parts Catalog. Service (repair / workshop) Manual. Operation and Maintenance Instruction. 1710746 8120 CASE IH 8120 Combine. Spare Parts Catalog. Service (repair / workshop) Manual. Operation and Maintenance Instruction. 1710747 8120 CASE IH 8120 Combine. Spare Parts Catalog. Service (repair / workshop) Manual. Operation and Maintenance Instruction. 1710748 8120 CASE IH 8120 Combine. Spare Parts Catalog. Service (repair / workshop) Manual. Operation and Maintenance Instruction. 1710749 9010 CASE IH 9010 Combine. Spare Parts Catalog. Service (repair / workshop) Manual. Operation and Maintenance Instruction. 1710750 9010 CASE IH 9010 Combine. Spare Parts Catalog. Service (repair / workshop) Manual. Operation and Maintenance Instruction. 1710751 9010 CASE IH 9010 Combine. Spare Parts Catalog. Service (repair / workshop) Manual. Operation and Maintenance Instruction. 1710752 9120 CASE IH 9120 Combine. Spare Parts Catalog. Service (repair / workshop) Manual. Operation and Maintenance Instruction. 1710753 9120 CASE IH 9120 Combine. Spare Parts Catalog. Service (repair / workshop) Manual. Operation and Maintenance Instruction. 1710754 9120 CASE IH 9120 Combine. Spare Parts Catalog. Service (repair / workshop) Manual. Operation and Maintenance Instruction. 1710755 9120 CASE IH 9120 Combine. Spare Parts Catalog. Service (repair / workshop) Manual. Operation and Maintenance Instruction. 1710756 5130 Tier 2 CASE IH 5130 Tier 2 Combine. Spare Parts Catalog. Service (repair / workshop) Manual. Operation and Maintenance Instruction. 1710757 5130 Tier 2 CASE IH 5130 Tier 2 Combine. Spare Parts Catalog. Service (repair / workshop) Manual. Operation and Maintenance Instruction. 1710758 5130 Tier 4 CASE IH 5130 Tier 4 Combine. Spare Parts Catalog. Service (repair / workshop) Manual. Operation and Maintenance Instruction. 1710759 5130 Tier 4 CASE IH 5130 Tier 4 Combine. Spare Parts Catalog. Service (repair / workshop) Manual. Operation and Maintenance Instruction. 1710760 5130 Tier 4a CASE IH 5130 Tier 4a Combine. Spare Parts Catalog. Service (repair / workshop) Manual. Operation and Maintenance Instruction. 1710761 5130 Tier 4a CASE IH 5130 Tier 4a Combine. Spare Parts Catalog. Service (repair / workshop) Manual. Operation and Maintenance Instruction. 1710762 5140 Tier 2 CASE IH 5140 Tier 2 Combine. Spare Parts Catalog. Service (repair / workshop) Manual. Operation and Maintenance Instruction. 1710763 5140 Tier 2 CASE IH 5140 Tier 2 Combine. Spare Parts Catalog. Service (repair / workshop) Manual. Operation and Maintenance Instruction. 1710764 5140 Tier 4b CASE IH 5140 Tier 4b Combine. Spare Parts Catalog. Service (repair / workshop) Manual. Operation and Maintenance Instruction. 1710765 5140 Tier 4b CASE IH 5140 Tier 4b Combine. Spare Parts Catalog. Service (repair / workshop) Manual. Operation and Maintenance Instruction. 1710766 6130 CASE IH 6130 Combine. Spare Parts Catalog. Service (repair / workshop) Manual. Operation and Maintenance Instruction. 1710767 6130 Tier 2 CASE IH 6130 Tier 2 Combine. Spare Parts Catalog. Service (repair / workshop) Manual. Operation and Maintenance Instruction. 1710768 6130 Tier 2 CASE IH 6130 Tier 2 Combine. Spare Parts Catalog. Service (repair / workshop) Manual. Operation and Maintenance Instruction. 1710769 6130 Tier 4 CASE IH 6130 Tier 4 Combine. Spare Parts Catalog. Service (repair / workshop) Manual. Operation and Maintenance Instruction. 1710770 6130 Tier 4 CASE IH 6130 Tier 4 Combine. Spare Parts Catalog. Service (repair / workshop) Manual. Operation and Maintenance Instruction. 1710771 6130 Tier 4a CASE IH 6130 Tier 4a Combine. Spare Parts Catalog. Service (repair / workshop) Manual. Operation and Maintenance Instruction. 1710772 6130 Tier 4a CASE IH 6130 Tier 4a Combine. Spare Parts Catalog. Service (repair / workshop) Manual. Operation and Maintenance Instruction. 1710773 6140 Tier 2 CASE IH 6140 Tier 2 Combine. Spare Parts Catalog. Service (repair / workshop) Manual. Operation and Maintenance Instruction. 1710774 6140 Tier 2 CASE IH 6140 Tier 2 Combine. Spare Parts Catalog. Service (repair / workshop) Manual. Operation and Maintenance Instruction. 1710775 6140 Tier 4b CASE IH 6140 Tier 4b Combine. Spare Parts Catalog. Service (repair / workshop) Manual. Operation and Maintenance Instruction. 1710776 6140 Tier 4b CASE IH 6140 Tier 4b Combine. Spare Parts Catalog. Service (repair / workshop) Manual. Operation and Maintenance Instruction. 1710777 7130 Tier 2 CASE IH 7130 Tier 2 Combine. Spare Parts Catalog. Service (repair / workshop) Manual. Operation and Maintenance Instruction. 1710778 7130 Tier 2 CASE IH 7130 Tier 2 Combine. Spare Parts Catalog. Service (repair / workshop) Manual. Operation and Maintenance Instruction. 1710779 7130 Tier 4 CASE IH 7130 Tier 4 Combine. Spare Parts Catalog. Service (repair / workshop) Manual. Operation and Maintenance Instruction. 1710780 7130 Tier 4 CASE IH 7130 Tier 4 Combine. Spare Parts Catalog. Service (repair / workshop) Manual. Operation and Maintenance Instruction. 1710781 7130 Tier 4a CASE IH 7130 Tier 4a Combine. Spare Parts Catalog. Service (repair / workshop) Manual. Operation and Maintenance Instruction. 1710782 7130 Tier 4a CASE IH 7130 Tier 4a Combine. Spare Parts Catalog. Service (repair / workshop) Manual. Operation and Maintenance Instruction. 1710783 7140 Tier 2 CASE IH 7140 Tier 2 Combine. Spare Parts Catalog. Service (repair / workshop) Manual. Operation and Maintenance Instruction. 1710784 7140 Tier 2 CASE IH 7140 Tier 2 Combine. Spare Parts Catalog. Service (repair / workshop) Manual. Operation and Maintenance Instruction. 1710785 7140 Tier 4b CASE IH 7140 Tier 4b Combine. Spare Parts Catalog. Service (repair / workshop) Manual. Operation and Maintenance Instruction. 1710786 7140 Tier 4b CASE IH 7140 Tier 4b Combine. Spare Parts Catalog. Service (repair / workshop) Manual. Operation and Maintenance Instruction. 1710787 7230 AR CASE IH 7230 AR Combine. Spare Parts Catalog. Service (repair / workshop) Manual. Operation and Maintenance Instruction. 1710788 7230 Tier 2 CASE IH 7230 Tier 2 Combine. Spare Parts Catalog. Service (repair / workshop) Manual. Operation and Maintenance Instruction. 1710789 7230 Tier 2 CASE IH 7230 Tier 2 Combine. Spare Parts Catalog. Service (repair / workshop) Manual. Operation and Maintenance Instruction. 1710790 7230 Tier 2 CASE IH 7230 Tier 2 Combine. Spare Parts Catalog. Service (repair / workshop) Manual. Operation and Maintenance Instruction. 1710791 7230 Tier 4 CASE IH 7230 Tier 4 Combine. Spare Parts Catalog. Service (repair / workshop) Manual. Operation and Maintenance Instruction. 1710792 7230 Tier 4 CASE IH 7230 Tier 4 Combine. Spare Parts Catalog. Service (repair / workshop) Manual. Operation and Maintenance Instruction. 1710793 7230 Tier 4 CASE IH 7230 Tier 4 Combine. Spare Parts Catalog. Service (repair / workshop) Manual. Operation and Maintenance Instruction. 1710794 7230 Tier 4a CASE IH 7230 Tier 4a Combine. Spare Parts Catalog. Service (repair / workshop) Manual. Operation and Maintenance Instruction. 1710795 7230 Tier 4a CASE IH 7230 Tier 4a Combine. Spare Parts Catalog. Service (repair / workshop) Manual. Operation and Maintenance Instruction. 1710796 7240 Tier 4b CASE IH 7240 Tier 4b Combine. Spare Parts Catalog. Service (repair / workshop) Manual. Operation and Maintenance Instruction. 1710797 8230 AR CASE IH 8230 AR Combine. Spare Parts Catalog. Service (repair / workshop) Manual. Operation and Maintenance Instruction. 1710798 8230 Tier 2 CASE IH 8230 Tier 2 Combine. Spare Parts Catalog. Service (repair / workshop) Manual. Operation and Maintenance Instruction. 1710799 8230 Tier 2 CASE IH 8230 Tier 2 Combine. Spare Parts Catalog. Service (repair / workshop) Manual. Operation and Maintenance Instruction. 1710800 8230 Tier 4 CASE IH 8230 Tier 4 Combine. Spare Parts Catalog. Service (repair / workshop) Manual. Operation and Maintenance Instruction. 1710801 8230 Tier 4 CASE IH 8230 Tier 4 Combine. Spare Parts Catalog. Service (repair / workshop) Manual. Operation and Maintenance Instruction. 1710802 8230 Tier 4 CASE IH 8230 Tier 4 Combine. Spare Parts Catalog. Service (repair / workshop) Manual. Operation and Maintenance Instruction. 1710803 8230 Tier 4a CASE IH 8230 Tier 4a Combine. Spare Parts Catalog. Service (repair / workshop) Manual. Operation and Maintenance Instruction. 1710804 8230 Tier 4a CASE IH 8230 Tier 4a Combine. Spare Parts Catalog. Service (repair / workshop) Manual. Operation and Maintenance Instruction. 1710805 8240 Tier 4b CASE IH 8240 Tier 4b Combine. Spare Parts Catalog. Service (repair / workshop) Manual. Operation and Maintenance Instruction. 1710806 9230 AR CASE IH 9230 AR Combine. Spare Parts Catalog. Service (repair / workshop) Manual. Operation and Maintenance Instruction. 1710807 9230 Tier 2 CASE IH 9230 Tier 2 Combine. Spare Parts Catalog. Service (repair / workshop) Manual. Operation and Maintenance Instruction. 1710808 9230 Tier 2 CASE IH 9230 Tier 2 Combine. Spare Parts Catalog. Service (repair / workshop) Manual. Operation and Maintenance Instruction. 1710809 9230 Tier 4 CASE IH 9230 Tier 4 Combine. Spare Parts Catalog. Service (repair / workshop) Manual. Operation and Maintenance Instruction. 1710810 9230 Tier 4 CASE IH 9230 Tier 4 Combine. Spare Parts Catalog. Service (repair / workshop) Manual. Operation and Maintenance Instruction. 1710811 9230 Tier 4 CASE IH 9230 Tier 4 Combine. Spare Parts Catalog. Service (repair / workshop) Manual. Operation and Maintenance Instruction. 1710812 9230 Tier 4a CASE IH 9230 Tier 4a Combine. Spare Parts Catalog. Service (repair / workshop) Manual. Operation and Maintenance Instruction. 1710813 9230 Tier 4a CASE IH 9230 Tier 4a Combine. Spare Parts Catalog. Service (repair / workshop) Manual. Operation and Maintenance Instruction. 1710814 9240 Tier 4b CASE IH 9240 Tier 4b Combine. Spare Parts Catalog. Service (repair / workshop) Manual. Operation and Maintenance Instruction. 1710815 AFX7010 CASE IH AFX7010 Combine. Spare Parts Catalog. Service (repair / workshop) Manual. Operation and Maintenance Instruction. 1710816 AFX7080 CASE IH AFX7080 Combine. Spare Parts Catalog. Service (repair / workshop) Manual. Operation and Maintenance Instruction. 1710817 AFX7120 CASE IH AFX7120 Combine. Spare Parts Catalog. Service (repair / workshop) Manual. Operation and Maintenance Instruction. 1710818 AFX8010 CASE IH AFX8010 Combine. Spare Parts Catalog. Service (repair / workshop) Manual. Operation and Maintenance Instruction. 1710819 AFX8010 CASE IH AFX8010 Combine. Spare Parts Catalog. Service (repair / workshop) Manual. Operation and Maintenance Instruction. 1710820 AFX8010 CASE IH AFX8010 Combine. Spare Parts Catalog. Service (repair / workshop) Manual. Operation and Maintenance Instruction. 1710821 AFX8010 CASE IH AFX8010 Combine. Spare Parts Catalog. Service (repair / workshop) Manual. Operation and Maintenance Instruction. 1710822 AFX8120 CASE IH AFX8120 Combine. Spare Parts Catalog. Service (repair / workshop) Manual. Operation and Maintenance Instruction. 1710823 AFX9120 CASE IH AFX9120 Combine. Spare Parts Catalog. Service (repair / workshop) Manual. Operation and Maintenance Instruction.